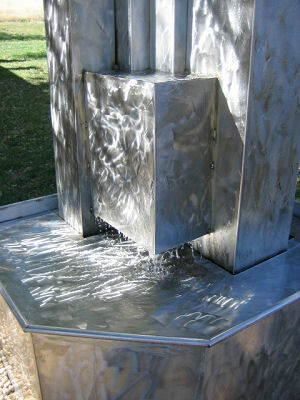 This is the "Metropolis" style fountain that I created for Whole Foods in Pasadena, CA. 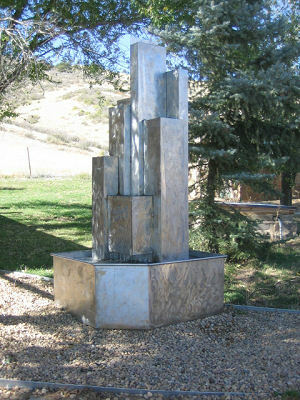 Whole Foods is known for having a discerning palate, so I was greatly honored to hear that they were interested in having me create a fountain for them. 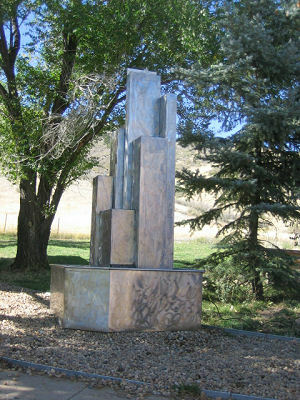 This fountain is made out of stainless steel and stands 8 feet tall. It has a rich opulent sound and a wave pattern in its flow. I am honored to be working with clients of the magnitude of Whole Foods, and look forward to doing more large scale stainless steel creations.